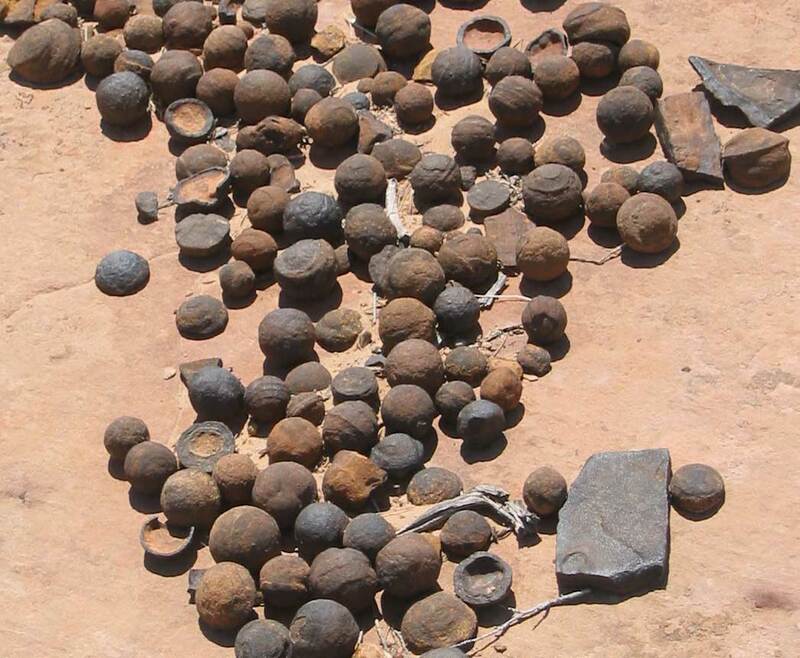 Iron oxide concretions - "Thousands of these concretions weather out of outcrops of the Navajo Sandstone within south-central and southeastern Utah within an area extending from Zion National Park eastward to Arches and Canyonland national parks. They are quite abundant within Grand Staircase-Escalante National Monument." "The iron oxide concretions found in the Navajo Sandstone exhibit a wide variety of sizes and shapes. Their shape ranges from spheres to discs; buttons; spiked balls; cylindrical hollow pipe-like forms; and other odd shapes. Although many of these concretions are fused together like soap bubbles, many more also occur as isolated concretions, which range in diameter from the size of peas to baseballs. 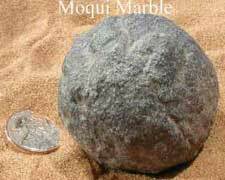 The surface of these spherical concretions can range from being very rough to quite smooth. 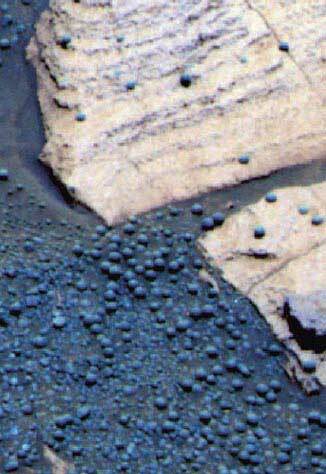 Some of the concretions are grooved spheres with ridges and grooves around their circumference."